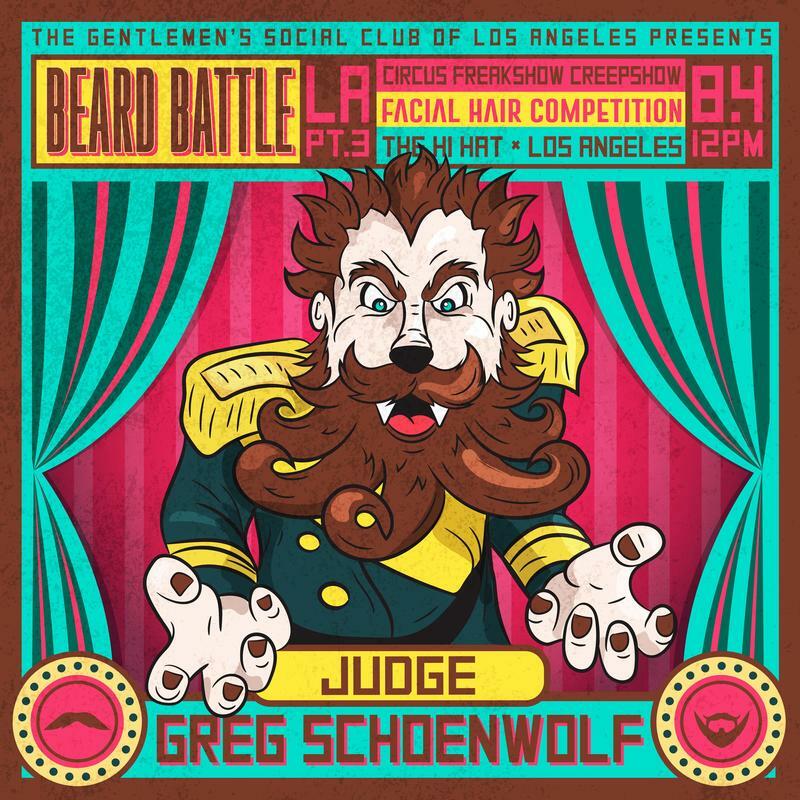 Our judges represent an assortment of some of competitive bearding's biggest stars. With hundreds of competitions under their combined belts, they've traveled the world and seen it all (or so they think). From world and national champions to well-traveled fellow Californians, you're in good hands with our panel. 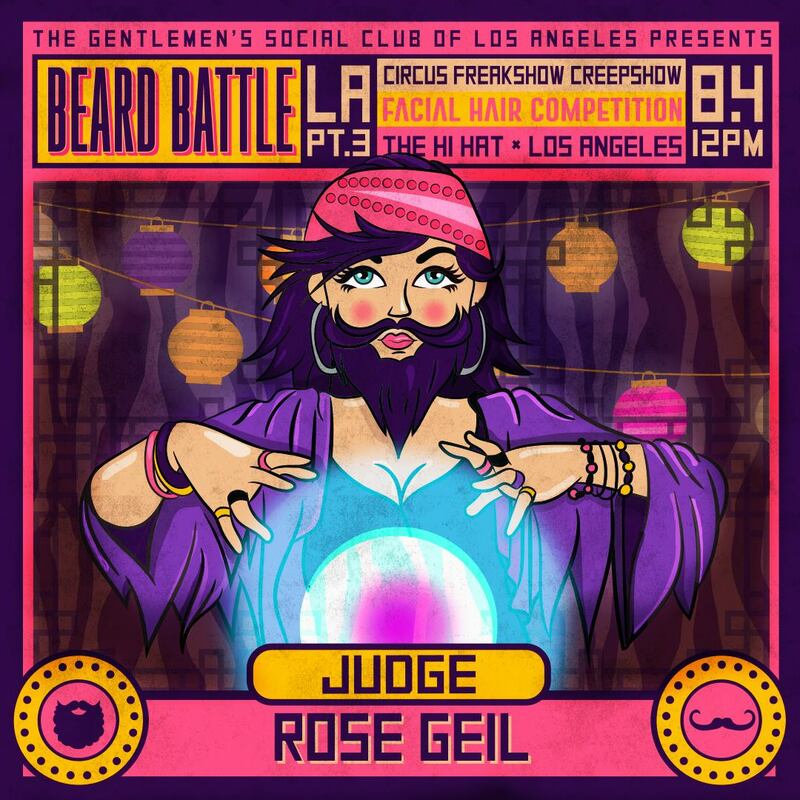 ​The judging criteria is based on health, thickness, color, and length of the facial hair, in addition to how well it enhances the competitor's overall look. Presentation matters, folks. Contestants will be graded on a classic 10-scale, with each judge giving out one 10, one 9.5, and one 9 to their top three picks in every category. Vice President of the Minneapolis Beard and Moustache Club, the club that became a Non-Profit Organization to promote and support facial hair in the workplace. 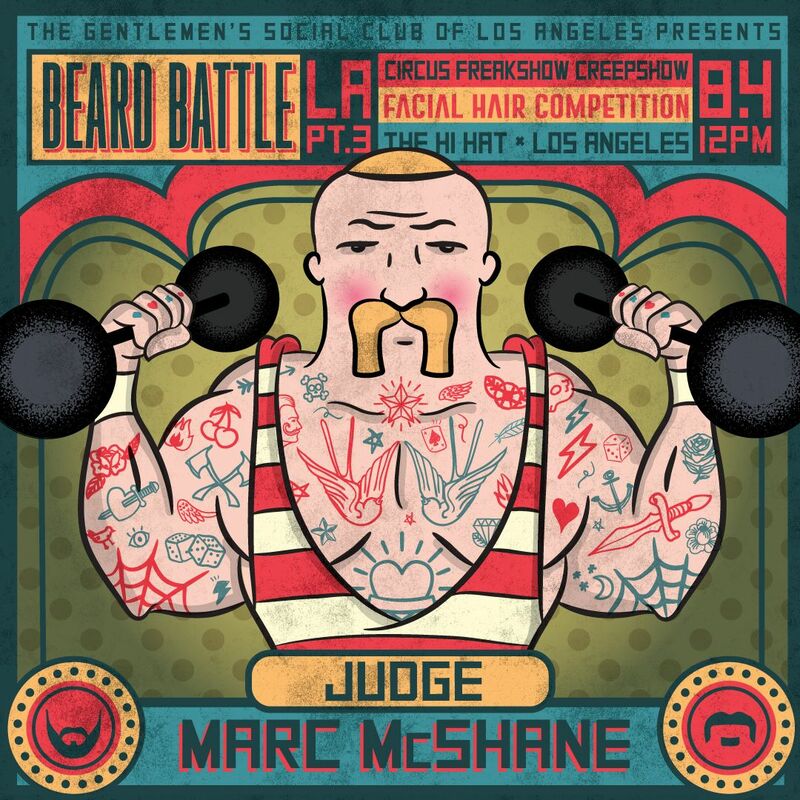 ​Dangerous Man-MBMC Winter Beard Contest 2015 and 2016. Salty Saints Octoberfest 2016, Salt Lake City , Beard Competition 2017, Milwaukee, Grit City Border Battle Tacoma/Seattle. 3rd place Whaler Beard, World Beard and Moustache Championship, Austin TX 2018. First Place Great American Beard and Moustache Champion, Denver 2016. Whaler Beard. First and Second Place Come and Shave It #8 and #9, Austin Texas. 2 time First Place Champion, Midwest Beard and Moustache Championships, Whaler Beard, Madison Wisconsin. "Hi everyone, it is an absolute honor to have been asked to be a part of this epic competiton. I am in my third year of bearding and loving every minute. After trying to hide for nearly 25 years by shaving, I gave myself permission to explore what makes me happiest. Never in my wildest dreams did I imagine it would bring me here. My life has become full of weirdo beardos, philanthropy, travel and love. Over the last couple of years I have been blessed with 1st, 2nd and Best in Show trophies. For a while longer I can brag I have a top 10 world ranked beard. The biggest prize is meeting new friends in the name of charity. Although I do not belong to one club specifically, I am lucky to be welcomed by you all." "I grew up in Salt Lake City, Utah. I am President and co founder of the Salty Saints Social Club and Facial Hair Society, a nonprofit organization founded in 2013. We are proud members of the NACBMA, and the WBMA. I'm the creator, M.C., and head coordinator of the Snowbird Oktoberfest Beard and Moustache Competition. I've competed with about 50 different freestyle designs since April, 2013, where I got hooked at my first competition. I've been growing my beard for about 6 years without trimming, and plan to just let it grow! I am a product ambassador for Mariner Jack, a beard oil company out of the U.K.
My favorite things about the facial hair community are, traveling to support other club's charity competitions, and meeting all the wonderful people involved." Eaten; Balut, Hákarl, deep fried Mars bar, Akutaq, Durian, Puffin, Black Pudding, Stinky Tofu, Haggis, Chicken Feet, Whale (a sustainably caught species), Pufferfish, Century Egg, Shiokara, NC BBQ, SC BBQ, KC BBQ, TN, BBQ, TX BBQ, and Fruity Pebbles. Contestant photos by Jeffrey Moustache and The World of Beards. © COPYRIGHT 2016-2017 TGSCLA. ALL RIGHTS RESERVED.